Not every tractor has a continuously variable transmission. 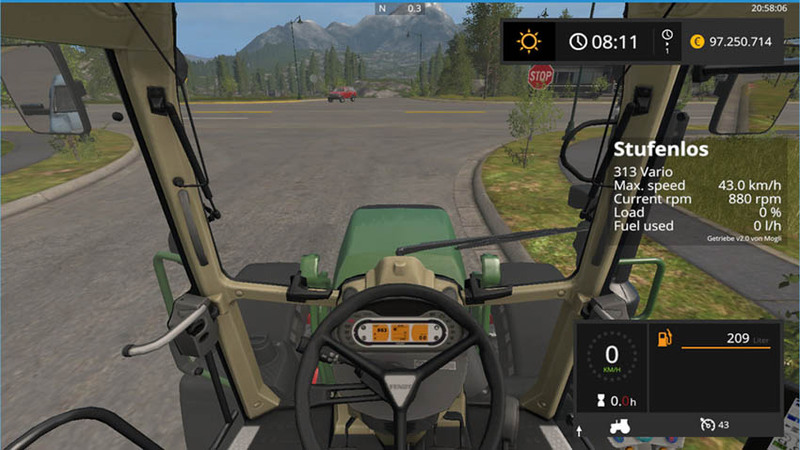 And even the continuously variable transmissions are not as simple in construction as the standard one in farming simulator. 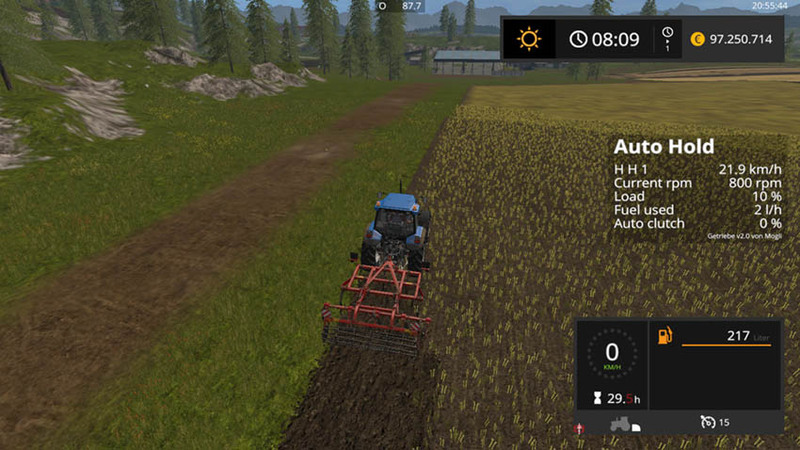 This script adds on the basis of the file gearboxAddonConfig.xml a gearbox to all configured tractors. Many various transmission kinds can be simulated. There are classic gearboxes with gears, one or two groups and reverse gears or groups. Shorting the response time to zero will result into a power shift transmission. There are models with one or two gears like the Fendt Vario. Other models combine four automatically switched mechanical gears with a continuously variable hydrostatic drive. All of these continuously variable transmission have one thing in common. The efficiency varies quite strongly depending on the gear ratio.